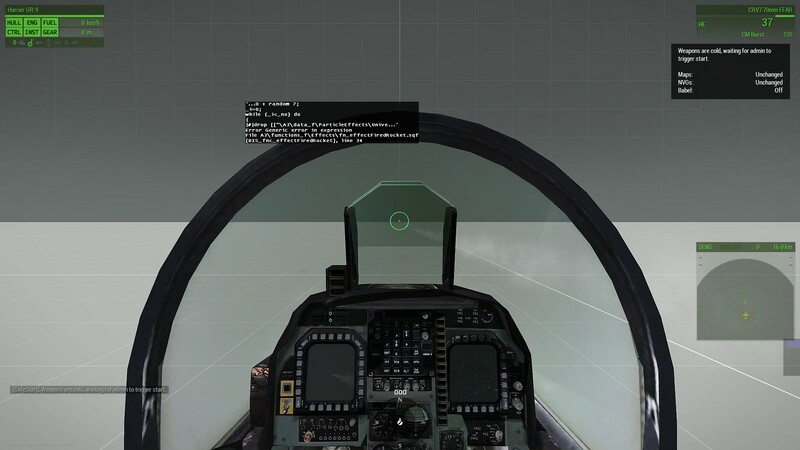 BIS_fnc_effectFiredRocket is broken for the AV-8B Harrier II's Hydras, the Harrier GR. 9's FFARs, and potentially other weapons that use it. Whenever firing the Hydras or FFARs, anyone on the server with script errors enabled will see the message in the included screenshot. In the context of the community I play with, this makes the these rockets unusable. I'd greatly appreciate it if this were fixed, thanks in advance. I brought this up with BIS first (https://feedback.bistudio.com/T127490), but they tested all of their vanilla assets and could not reproduce (and neither could I). They say it is a mod issue, hence this ticket. Note, no space between the private and the var name, so the script errors out. A friend more knowledgeable than I came to the same conclusion a couple hours ago. He added the info to my BIS ticket, hopefully they recognize their part this time.